ABUJA- Presidential candidate of the Peoples Democratic Party, PDP in the just concluded election, Alhaji Atiku Abubakar Thursday night met with former military Head of State and Chairman of the National Peace Committee, NPC, General Abdusalami Abubakar (retd), the Catholic Bishop of Sokoto Diocese, Matthew Kukah, and other members of the National Peace Committee, apparently over last Saturday’s polls. 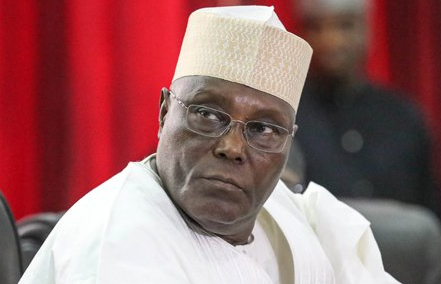 The meeting which was held behind closed doors, was convened following Atiku’s decision to go to court to challenge President Muhammadu Buhari’s victory. Speaking shortly after the meeting, Gen. Abdusalami Abubakar said the mission of committee was to douse the tension arising from the keenly contested elections. Atiku’s running mate and former governor of Anambra state, Mr. Peter Obi; Senate President, Bukola Saraki; PDP national chairman, Prince Uche Secondus; Speaker of the House of Representatives, Yakubu Dogara; and other PDP leaders were also in attendance. Others in the meeting included Cardinal John Onaiyekan, Reverend Fr. Atta Barkindo of the NPC Secretariat. The Salient Features of GARMIN GPS Maps – Something That You Want to Know!